Every business needs funding to start up. You may be lucky in that your personal finance situation enables you to fund the purchase of the finance license you need, and cover the cost of the other start up payments you have to make. Most businesses however, look to family and friends for start up capital. If that source fails, then the banks are your next port of call. Every high street bank has a small business unit. As the vast majority of businesses in the UK are defined as small businesses, the mechanisms to gain start up capital have been well developed over the years. In all cases, the business that can show it has made solid and well thought through plans is more likely to gain the funding they are looking for. Banks want to invest in new businesses, but they have to protect their investment as well. Before you approach a bank for funding to get your new franchise started, you must put together a business plan. The small business unit at each bank is interested in the financial side of your franchise, but they also need to understand what business you want to start, and who you are as, they want to see if you have the skills and drive to make your new franchise a success and therefore pay back the loan (with interest) you have been made. The financial details in your business plan must be looked at very carefully. If you don’t feel confident in completing this information, take financial advise before you submit your plan to the bank. It is imperative that your cashflow and profit and loss forecasts are accurate but also realistic. A straightforward bank loan may be the best option if you are looking for a large sum of money you want to pay back over a set period of time. Your experience with your personal finances if you have ever taken out a personal loan will give you a guide to how business loans operate as they are similar. Always take financial advice before you sign your loan agreement. 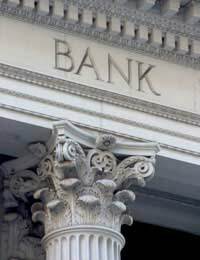 A bank business loan may not be the best way of obtaining the money you need. If you require relatively small amounts of money, over a short period of time, an overdraft may well be more appropriate. Also, a loan will usually have its interest rate fixed. If this rate goes down, you will be paying more for your money than you need to. And lastly, the bank may well demand security on the loan. If you default on your payments, the asset used as security could be seized. If your start up capital needs are modest, an overdraft could be a good option. Your bank will agree that your franchise business can go overdrawn on its business account for a set amount of money. Interest will be charged (calculated daily) on any overdrawn amounts. This is a very flexible way of obtaining capital. However, interest rates are usually higher on overdrafts than on loans, and more importantly, the bank can demand the money you are overdrawn back at any moment. If you have never run a business in the past, the bank you approach for start up finance won’t have any idea if you have credibility as a business owner. This scenario was recognised by government several years ago. Their solution was to create the Small Firms Loan Guarantee. You can see a list of the participating lenders in the scheme on the BERR website: http://tinyurl.com/5ooqoj. Your franchise business may require that you take out a large loan that your personal finances simply can’t provide you with. It’s crucially important that you take financial advice at every step of your loan application. You need the money but you must ensure your franchise can afford the repayments and that the rates you are being charged are competitive.